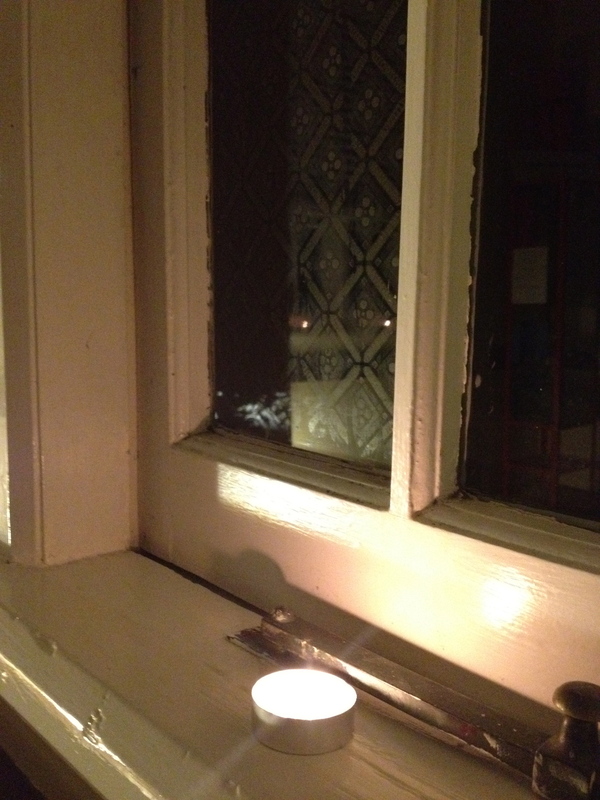 Love laps at the edges of my door, like the sound of the traffic, like the oily water of the river, like the birds song at the palm tree on my patio. Rumi told me that I should just wait and be love, and love would find me. How magnificent that love, not really known, expected or anticipated, should creep in and show itself in the most serene form… in his presence, his magnificent strength, his unwavering passion. A gentle caress, a loving gaze, deep affection. I’ve opened the door, and love sat down beside me, held my hand and stood with me, never to let me go. I nearly said no. I tried to push it away. Fragmented love from attempts past had left its stains on my heart like the ring of an overfilled red wine glass. I’ve been conditioned to understand only pain, confusion and mess laced into those three little words “I love you”, they’d essentially been an offing, known only by the way it looked from a distance. I couldn’t reach it, I could only see it and barely make out its form on a sloppy sea of emotion. A sea I never trusted. But this week love has presented itself. Not once but twice. To appear, then retreat and come back twice as strong, offered to me, with two strong and unyielding hands with the music of Harold Budd filling the space around us. I nearly didn’t recognise it, and when I did, I questioned it. Well, to be truthful, I questioned myself. And my ability to sustain love after the trail of destruction it appears to have created in my life, love has led me nowhere. And then I realised “who am I to question what the universe says I need?” … a gift has been presented to me and the timing could not be more perfect. It is true what they say, that love comes in its own time. And here it is. Time to trust that – I recognised that but I was terrified to let go, feel it, and merge with it. And then I look into his eyes and I know that I am exactly where I am meant to be right now and he is here, to teach me, to support me and simply allow me to be who I am meant to be, and help me and love me, right when I need it. Even if I don’t think that I am worthy; even if I didn’t understand what stood before me; even if I didn’t realise that that was what I needed right now. But he did. He stood there, unwavering, firm in the knowledge that he knew his heart and exactly where he was meant to be: beside me. As I enter the final death throes of what is essentially the final metamorphosis of change, that final part is going to be so deep and lasting, its as if the Universe knows that I’ve been through enough, done enough, been on a long, difficult, but necessary journey alone. Sure, I have met some special people along the way. Mirrors that have reflected some extremely deep and complex themes for me to work through, and I’ve taken up those challenges, too and run with them. The universe has acknowledged that I have had the courage to step up and do what needed to be done as and when I had to. And I am being rewarded for my efforts to know and understand myself implicitly and learn to love me, anyway. I’ve been de-created and re-created and daily, I walk further and further into the unknown, only this time, Love’s beside me. In the form of an angel. Me… is not what is. Everything I have ever wanted, I have attained. It’s a bit scary. I cast my mind over my life and whatever I have aspired to, whatever I have sincerely wanted has happened. No questions asked, the universe has delivered. Time and time again. Things I’ve wanted for myself, for my life, for my well being, sometimes for worse… all of it has been granted and unfolded, with Divine timing but unfolded just as I had wished. However it has seriously been a case of ‘be careful what you wish for’, and in some cases, there’s no wishing required. It’s just the simple act of thinking about it, and it manifests. Every single time. The impossible becomes not only possible, but an absolute given. As a child, most of my wishes came true. I wanted my own room, a china doll, later a doll’s house – those sorts of things occurred in a ways that I didn’t quite understand. To see snow, a concert, have a boyfriend. I got all that and more. My own car. To be ‘well known versus famous’ (I had this belief that being famous was a burden, and being ‘well known’ was virtuous. I still think there’s truth in that). To manage a modelling agency. I managed three of them. Of course, every child leaves school wanting to manage a modelling agency (bizarre but true). As I moved forward, into my career, I would find myself feeling that I would be more fulfilled within what was known back then in “Personnel”, I worked as an HR Officer in one Australia’s leading hotels; I felt I’d be a great trainer with my experience … low and behold, not two years later, I was writing and consulting to businesses to assist them with professional development programs. What about university? Yes, I got in as a mature age student – didn’t finish. I think part of it was just wanting to see if I could get in, and I did. Then it was working with the long term unemployed? I did that also. Working in a HR Corporate office as a recruiter: doing that now. Marriage was important to me – I did that twice, because the first one wasn’t right. Second one is now over. I wanted two children: a boy and a girl. I got both. I always wanted to live in an apartment with white walls near the city. My parents tenants needed out and I needed somewhere to live with my two children: perfect. As you can see, I’ve lived a full life. So I guess I’m the type to make things happen. Unconventionally perhaps but they happen nevertheless. Yearning for things doesn’t sit well with me, nor does missing what I don’t have. It feels like whinging, and that’s not my style. Typically I identify what I want, leave it be for a while, and magically, it manifests when I least expect it. But a couple of things have been elusive. And one of those things was my own art studio. I moved into my whitewalled apartment a year ago, but I hadn’t spent time doing anything other than just establishing us over the past year or so. But always in the background was this distinct feeling something missing. Priorities meant that I needed to focus on the most important things – which meant looking after the basics and trying to embed some sense and rhythm in our lives, being responsible, paying the bills, having enough money and food to eat, and always with the awareness that while I provide for me and the kids, I also do what I can to look after my own needs too. Somehow. When you’re in that survivalist mode, you tend not to be able to think too far into the future, out of necessity. In all honesty, my success strategy so far has been about focusing only on what is in front of me, to avoid the feeling of being overwhelmed in a forest-for-the-trees scenario, so you can imagine when I was asked a simple question by a suitor not long ago “…and what do you want for yourself? What are your hopes and dreams”, I realised I couldn’t actually answer it. That I’d neglected this one very important aspect of living: the hope and imagination part of living, providing much needed momentum, or the art of moving forward, living well, instead of existing. But it was just a hiatus. I’d work on that. It made me wonder. Did I dare focus on what was missing in my life? Dangerous ground for a single mother who had so far avoided the dark, dripping walls of depression post-40. But, what I did do was allow myself to dream again and when dreamed I saw myself painting and creating in my own studio. It’d never happen, but I could pop it up there on my ‘wishing wall’ the bright and shiny star lined universal wall where, like decades before, I’d hung my dreams on my little hook in the sky and left it for the universe to take care of for me. So I did it again. “I’d like my own art space” The catch: did I honestly feel I was worthy of my own dream? Hell yeah! I’d been through enough, my turn. So… as I always do, after identifying a need, or a wish, and hanging it on my hook in the sky I focused my attention on other things. After a recent workshop, satisfied with the nudes I’d created I pulled up in my car outside the garage as I do every day and once again came the mantra “if only I had an art studio…just a place to create”… and then it dawned on me. I looked up at the closed garage door … and the answer came to me: “but I do!?”. Every single day I pulled up to the garage door I rarely opened, full of a decade of memories prior when I moved in here and there I stopped. Never went forward. Never actually parked the car in the garage, the garage was just there, a space for me. The irony. I had the space. I just had to process a bit of the clutter and junk in there to convert it in to something I had always wanted, which was sitting there, waiting for me to acknowledge its existence. It was there all along. By nature, I don’t think its possible to ‘have’ a space. A space appears, materialises. Relatively speaking the space is the thing between two objects … Philosophers have been arguing this for years. Is a space an object or is it the relationship between two objects… either way, I’m not arguing. It’s a gift. I have my studio. I have my space. And the universe provides, every single time. This exceptional post-rock band has done some gorgeous work on this clip. Enjoy! I’ve been totally swept away by the beautiful magnificence of this music and couldn’t help but download her album this week. 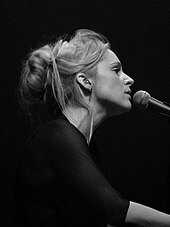 Agnes Obel, a 32 year old Danish divine and most extraordinary album of exquisite melodic magnificence. Agnes Caroline Thaarup Obel (born 28 October 1980) is a Danish singer/songwriter. Her first album, Philharmonics, was released on the 4 October 2010 in Denmark, Norway, Germany and has won five prizes for: Best Album Of The Year, Best Pop Release Of The Year, Best Debut Artist Of The Year, Best Female Artist Of The Year and Best Songwriter Of The Year. You only have to listen to one of her songs to understand why. It moves you completely. She took her biggest inspiration from in Jan Johansson‘s work, in addition to influences by artists such as Roy Orbison, Joni Mitchell and PJ Harvey, and also by the French composers Claude Debussy, Maurice Ravel and Eric Satie. she’s produced these incredibly beautiful European folk tunes done in a jazzy style, have influenced the young musician a lot. In 2009, Obel put a demo of “Just So” on Myspace. The telecommunications company Deutsche Telekom used “Just So” in an advertisement and, after this great opportunity, Obel encountered less difficulty in finding a label for her first album. She also likes Edgar Allan Poe and photographers Sybille Bergemann, Robert Mapplethorpe, Tina Modotti and Alfred Hitchcock, stating”I adore his enigmatic style, his sophisticated esthetic but always with an extreme simplicity.” The cover of her first album, photographed by Berlin photographer Mali Lazell, is an ‘homage’ to The Birds (film). For the promotion of Philharmonics, Agnes Obel appears (under the lenses of Mali Lazell) beside an impressive and worrying owl. This is clearly a reference to Alfred Hitchcock‘s classic The Birds (film). However there is no owl in Hitchcock’s film and many people find more connection with Ingmar Bergman universe. “Agnes, really superb, looks like Liv Ullmann in Ingmar Bergman’s Persona (film) or Tippi Hedren disguised in a proud Marnie (film) rather than to its catatonic character of The Birds (film)“. Philharmonics has garnered generally positive review with for example James Skinner from BBC saying that “the compositions… are slow, sombre, sepulchral even, but not without a sense of occasionally singular beauty”. In the French cultural magazine Les Inrockuptibles, Johanna Seban speaks about a “disarming purity” and states: “There is, in these deeply melancholic ballads, the clearness and reassuring nobility of bedside discs.” At last, in Musicomh, Ben Edgell writes: “Obel sings with a hushed and tender grace that waxes wistful and serene over yearning cello, harp, and piano vignettes. She’s a fey siren, with a dusky, near-whispered vocal that speaks to Ane Brun or Eva Cassidy.” French journalists have called Obel : “A revelation to follow”. I’m really looking forward to whatever she brings forth next. Extraordinary. No other word for it.